← Creativity, Intuition and Quail Art? In August I made the acquaintance of trees older than Shakespeare’s words. 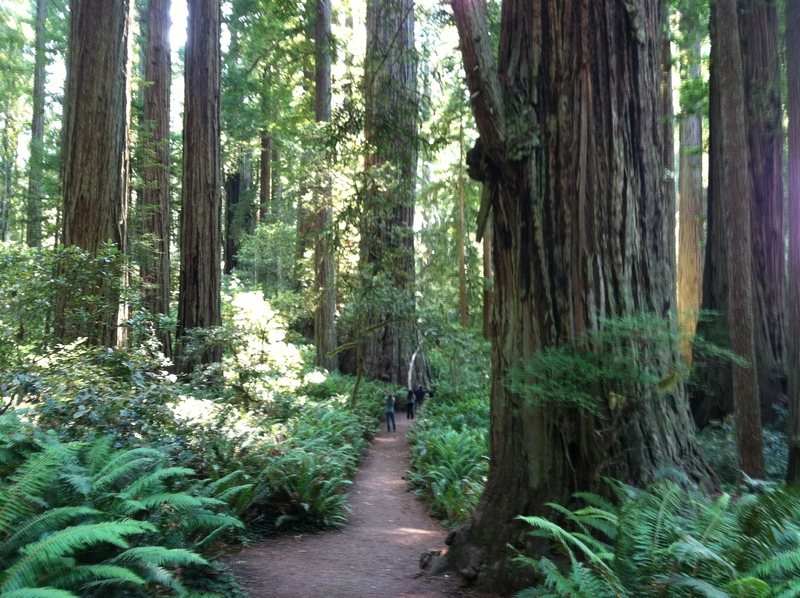 I went to Redwood National Park in northern California. 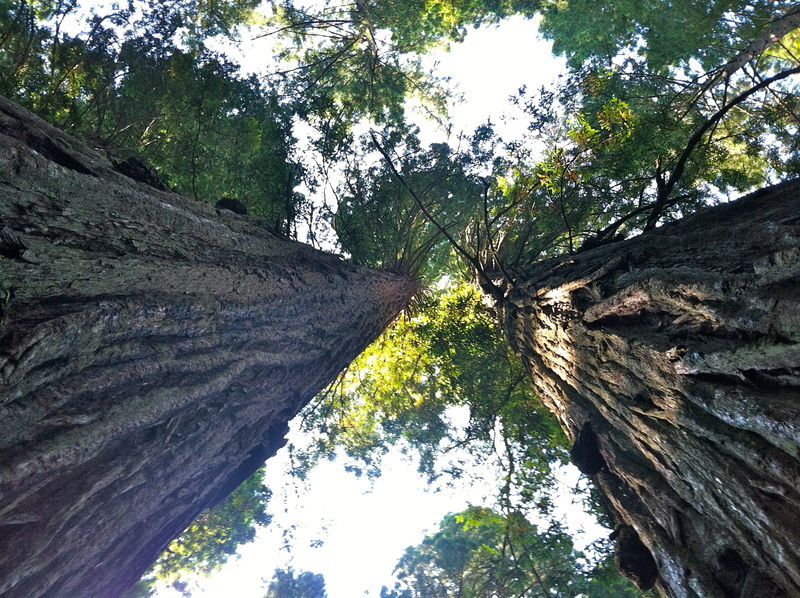 After a LONG, curvy drive, the experience of standing, looking up at trees 15 feet in diameter and not being able to see to their tops, was unforgettable. The reverence I wanted to give these living creatures consumed my thought. The forest felt sacred, holy, church-like. There was an awe and hush and even the leather-clad, boisterous biker clan that was on the trail couldn’t dispel the magic. There was a family with kids that made me angry though. I was uncharacteristically sad as I slowly walked the mile-long trail through the woods. 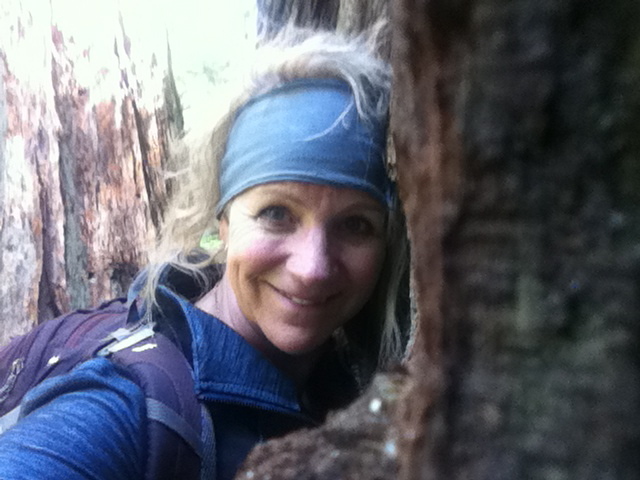 These trees were protected by the National Park system but there were neighboring hillsides of forest that were being logged and with one blow 700 years would be reduced to boards and pulp. A tune came unbidden to my psyche from a musical I was in a few years back, Into the Woods. When Jack, of Beanstalk fame, sells his precious cow for magic beans he weeps with the same earnestness that I was experiencing. This song was my mantra as I meandered through the mossy forest, hoping that I wouldn’t see a table made from one of these beauties in the future.You can understand their enormousness if you look carefully at the following picture and see the tiny people standing at the base of the trees at the further end of the path. The trees dwarf them and make them look like toy soldiers. 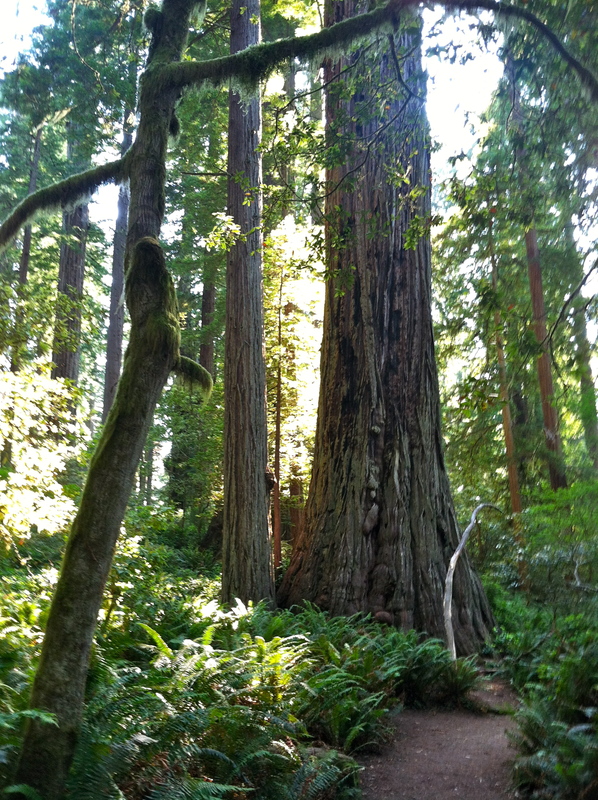 I was wishing the redwoods could talk like the Ents from The Lord of the Rings. With souls and feelings they could express their years of wisdom and share the cycles and beauty they have seen. Tolkien’s imagination relished the idea of trees moving and breathing only to be “less than thrilled that it amounted to men walking on stage with leaves in their hats. He decided that when he did that scene for himself, he’d do it right.” (Wikipedia) Bravo, Mr. Tolkien. Every time I have attended Macbeth that scene is a disappointment, you trumped the Bard with the Ents. Writing is one of my deepest and quietest joys. It comes from some place that satisfies and brings great contentment. The solitariness of it. the large reach of it, the simple task of it, the discipline, the sharing, the risk, it has it all, the ability to deeply move oneself and others. I think William Shakespeare, J.R.R. 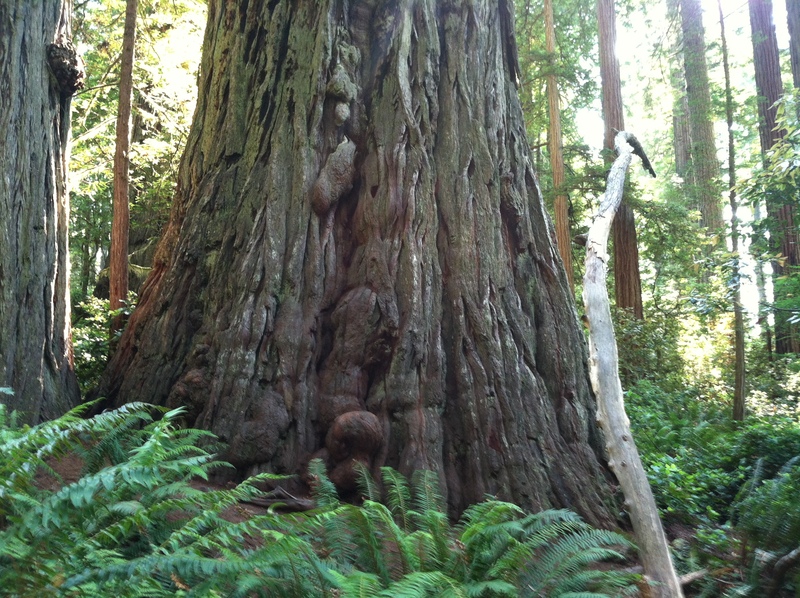 Tolkien, these redwood trees and I have much in common. Destiny.